All imported closed-system / slow-combustion fireplaces should be installed using an insulated fluekit. These imported fireplaces radiate a tremendous amount of heat through the flue, if not insulated. This can lead to the drying out of the rafters in your roof, which could eventually lead to spontaneous combustion. As there are no laws governing the installations of imported fireplaces in South Africa, a lot of companies still sell plain, un-insulated flues to customers who rely on the salesman's supposed superior knowledge. At Vulcan we follow the European standards of installation, and only sell stainless steel insulated fluekits that is guarenteed to protect your roof structure's integrity. Our insulation can handle up to 600º Celsius. 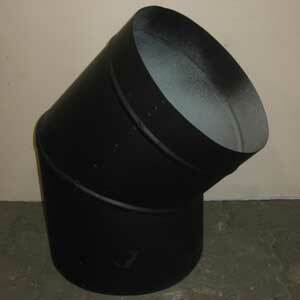 We supply 5 standard size flue kits: (internal diameter) 125 dia, 150 (152) dia, 180 dia, 200 dia and 250 dia. This fits most imported units. However, we can custom-make if needed. Choose between 3 different grades of stainless - 430, 304 or 316. 430 Stainless steel is a magnetic stainless that has a shiny look, while 304 & 316 Stainless has the "classic" stainless look and is non-magnetic. Known by most people as the true stainless steel, 304 and 316 are the grades we suggest to use if you are living close to the ocean's corrosive sea-air. To that effect, our endcaps are all spun from 316 stainless steel. 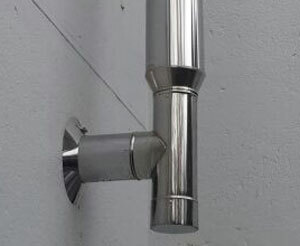 Also available to complete your installation, are bends, T-Pieces, Ceiling plates and brackets manufactured in the same grades of stainless steel as our flues. 316 and 304 stainless, on the left, has a more contemporary stainless look while 430, featured on the right, has a polished appearance which compliments the ultra modern home. 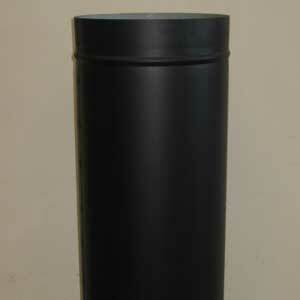 Flues can also be treated and sprayed black if the truly traditional look appeals to you. Endcap flues are also insulated flues, with the added endcap that neatens the transition between single and double insulated flues. 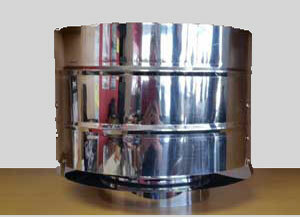 All our endcaps are manufactured using 316 stainless steel. 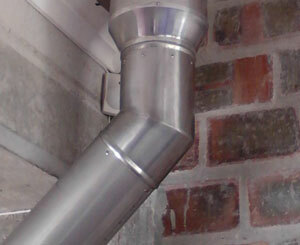 Both inner and outer flues are manufactured using the same grade of stainless steel. 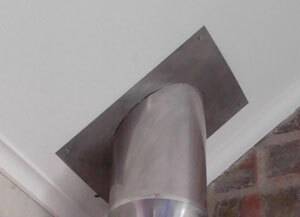 Similar to the endcap flues, this flue fits right at the top of a standard installation. All insulated flues has our heat resistant and flame proof insulation. 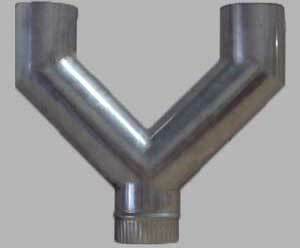 Our flues are crimped and therefor stackable and does not require extra clamps. We supply 45º and 90º bends in all grades of stainless - to fit your standard fluekit. Manufactured using 0.9mm steel, this is 80% thicker than similar imported bends. Also available in double insulated. 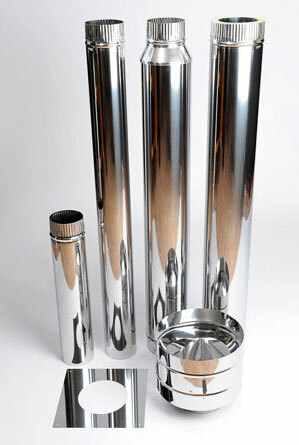 Also available in all sizes and grades of stainless steel. The standard and 45º T-Pieces come complete with a bowl for collecting of condensation. The T-Piece is especially convenient in making sweeping the chimney a breeze. YES, some of us has OCD. 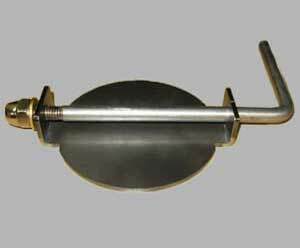 This Y-Piece balances the look where a bend to the side is neccessary due to restrictions such as a roof beam or concrete beam. Taken only through the ceiling and into the roof cavity, the "extra" leg is blocked off to keep smoke from entering. Although most imported fireplaces come complete with its own internal dampers some fireplaces, for instance the Earthfire Firepot, can be kitted out with a damper kit to stop down-draughts when the unit is not in use. Can be retro-fitted. We stock ceiling plates to fit all our fluekits - both plain and insulated flues. 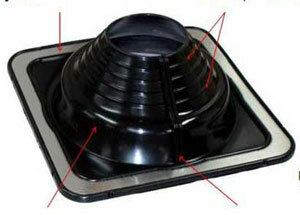 We also stock as standard 30º and 45º ceiling plates. We can also custom order ceiling plates for any other degrees. Also available in all grades of stainless steel. We make cyclone cowls in all sizes and all grades to fit our fluekits. 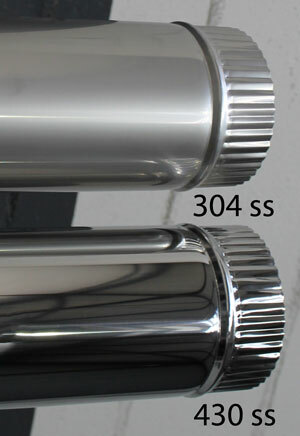 Turbo cowls are only available in 304 and 316 stainless. We have found that the cyclone cowl is the cowl that performs best in all wind conditions. With our range of roofseals, even the novice can do a professional job - should you wish to do your own installation, although we strongly advise against it. 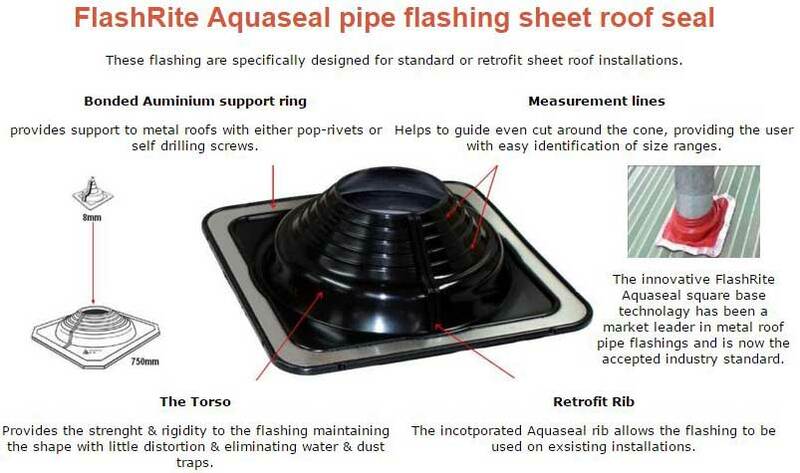 The Aquarius range of seals are designed to mold to any shape of roofsheeting. 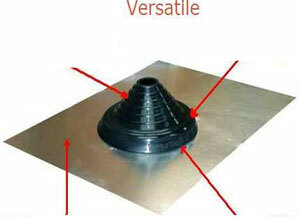 The Versatile roofseal is similarly designed to fit all tiled roofs. Available in a large range of sizes. 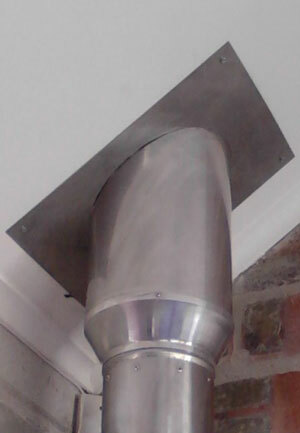 Our braai flues come in many standard sizes, but can also be ordered custom. Standard available in cold-rolled, electro-galvanized, pre-galvanized, hot-dipped galvanized, 430, 304 & 316 stainless steel. Don't worry. Our expert sales staff will be happy to assist with the choice of material, depending on your application, and of course how close to the ocean your are. 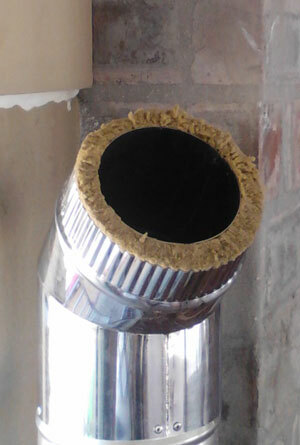 Although we obviously have our standard flue sizes, we can custom make any size flue from 100 diameter and up. We also custom make square and rectangular flues. Similar to our flues, we make standard bends in 45 and 90 degrees, but can custom make any size and degrees, whether round, square or rectangular. 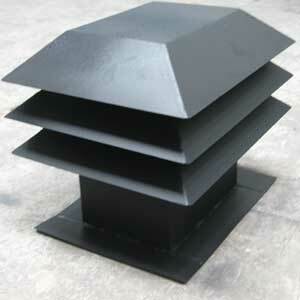 For information on our types of cowls, standard and custom, please follow the link below.